While looking at Spanish “doublets” like forma ‘form’ and horma ‘cobbler’s shoe form’ (both from Latin forma), or delicado ‘delicate’ and delgado ‘thin’ (both from delicatus), I was struck by the fact that Spanish almost always imposes a difference of meaning on words derived from a single Latin source. The only exception I know of is the synonyms flama ‘flame’ and llama ‘flame’, both from Latin flama. Another pair that comes close to synonymy , though not all the way, is apertura vs. abertura, which both mean ‘opening’. I was moved to post about these words when I looked up the subtle differences between their meanings. Abertura, the older word (derived from abrir ‘to open’), refers to the act of opening, a physical opening or hole, a mountain pass, or candor (‘openness’). The newer apertura (from Latin apertura) refers to a show’s opening, an opening mechanism, or a chess opening. Either word can be used to refer to a camera aperture. This intimidating list of meanings makes me wonder how good a second language learner you’d have to be to get this right, and also whether native speakers ever confuse the two words. Any of you care to weigh in? For good measure, Spanish also has obertura, meaning ‘overture’ in the musical sense (i.e. the opening to an opera or other long work), a borrowing from French. Personally, that’s about all the openness I can take. This entry was posted in From Latin to Spanish and tagged doublets, Spanish, Spanish synonyms on 26 February, 2015 by jhochberg. Doublets: The chicken or the egg? My current research and writing topic is doublets: word pairs from a single Latin root. These typically pair an older word that has been passed down orally from Vulgar Latin with a newer Latin borrowing dating from the 13th century or later. The older word shows the wear and tear of time in its form and meaning, while the newer word remains closer to the shared Latin root. Some examples are shown below. Pairs like these raise an interesting chicken-or-egg question. Did the older words shift in meaning, thus creating gaps that made the new borrowings necessary, or did the pressure of the new borrowings push the older words into new semantic territory? My usual gods are silent on the subject. Ralph Penny merely notes that “the popular form [is] associated with changed meaning] (p. 40); Steven Dworkin likewise refers to “semantically differentiated sets”. There is a 1989 monograph on doublets by Belén Gutierrez that I need to track down and plow through, but I have no idea whether he addresses the chronology question. I’d put my money on the egg — that is, the latter of the two possibilities I outlined just above. Focusing on the forma/horma example, it strikes me as unlikely that Spanish would develop a gap for a concept as basic as ‘form’. It’s more likely that forma was brought in as a cultivated word, as was common starting in the late 13th century, and that the two forms co-existed for some time, but in different registers (e.g. formal and informal speech), much as older llama ‘flame’ and newer flama still do today, until horma was pushed out into its current specialized territory. But the only way to know is to analyze actual documentary evidence, for example from CORDE, and look for shifts in meaning over time. This would make a great dissertation if nobody has ever done it! For more posts on this blog about doublets, please use the search field. This entry was posted in From Latin to Spanish and tagged doublets, Latin, Spanish on 24 February, 2015 by jhochberg. Primero, les pido perdón. Últimamente he escrito poco para este blog porque estoy trabajando tiempo completo en mi libro, ¿Por qué? 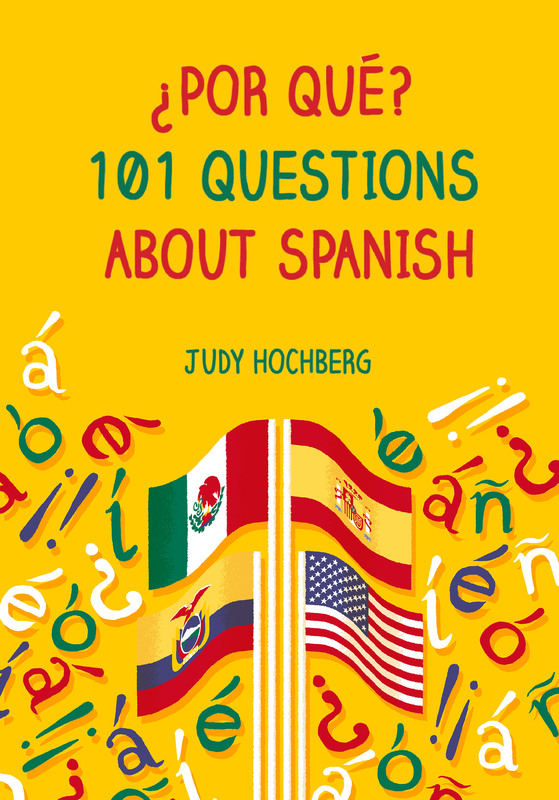 101 Questions about Spanish. Supongo que es bueno que sea así: Bloomsbury Press lo espera para octubre. Pero tuve que compartir con Uds. una perla de sabiduría que acabo de adquirir sobre la etimología de jamón, gamba, and camarón. Resulta que, como muchas palabras españolas para los comestibles, jamón nos viene del francés. La palabra francesa jambón viene de su palabra jambe ‘pierna’, que a su vez viene de gamba en el latín vulgar. Y aquí las cosas se ponen interesantes, porque ¡gamba en latín no tiene nada que ver con gamba en español! Más bien, gamba y camarón vienen de la palabra latina con el mismo significado, cammarus. Camarón es su descendiente nativo, y gamba es un préstamo del catalán. First, an apology: I haven’t been posting lately because I’ve been working full time on my book. I guess that’s a good thing: it’s due to Bloomsbury Press in October. But I had to share a fun tidbit I just ran across, concerning the etymologies of jamón, gamba, and camarón. These mean ‘ham’, ‘shrimp’, and ‘shrimp’. It turns out that jamón is, like many Spanish food words, borrowed from French. French jambón ‘ham’ comes from the French word for leg, jambe, which in turn comes from Vulgar Latin gamba. Here the going gets fun — because Latin gamba ‘leg’ has nothing to do with Spanish gamba! Rather, gamba and its synonym camarón are both derived from the Latin word for ‘shrimp’, cammarus. Camarón is its native Spanish descendant, and gamba as a borrowing from Catalan. This entry was posted in From Latin to Spanish, Spanish Friday and tagged camarón, gamba, jamón, Spanish, Spanish word for shrimp on 20 February, 2015 by jhochberg. Todos los lenguajes romanos perdieron el género neutro. Esto implica que ya habría ido fallando en el latín vulgar. El alemán no es el único idioma indo-europeo moderno en preservar el neutro. Otros incluyen el gujarati (un idioma de India), el griego, y el ruso. El inglés no es el único idioma indo-europeo moderno en haber perdido completamente el género gramatical. Otros incluyen el armenio y el bengalí. El resultado romance (con el masculino y el femenino, pero sin el neutro) es el más común. Otros idiomas en esta ala incluyen el albanés, el hindi, los idiomas célticos, y los idiomas bálticos (el letón y el lituano). El polaco y el serbio (los dos eslavos) han sorprendentemente aumentado sus sistemas de género de tres a cinco géneros por medio de dividir el masculino en tres géneros distintos: objetos inanimados, seres humanos, y otras entidades animadas. Para una geek lingüística como yo, ¡esto es una de las cosas más interesantes que he aprendido en los últimos meses! Se puede enterar más de ello en Wikipedia (busca la expresión “five genders”) o, para una fuente más respetable, en las páginas 425-6 de Indo-European Language and Culture: An Introduction, por Benjamin Fortson IV. Recomiendo este libro de todas maneras. I’ve recently turned my attention from pluralia tantum back to noun gender, and did some research on the history of gender in languages related to Spanish. I already knew that Latin had three genders (masculine, feminine, and neuter), that it inherited this system from Proto-Indo-European, that French and Italian (like Spanish) only have masculine and feminine, and that German has neuter. Here’s what I’ve learned in the last few days. All Romance languages lost the neuter gender. This implies that it must already have been on its way out in Vulgar Latin. German isn’t the only modern Indo-European language to preserve the neuter gender. Others include Gujarati, Greek, and Russian. 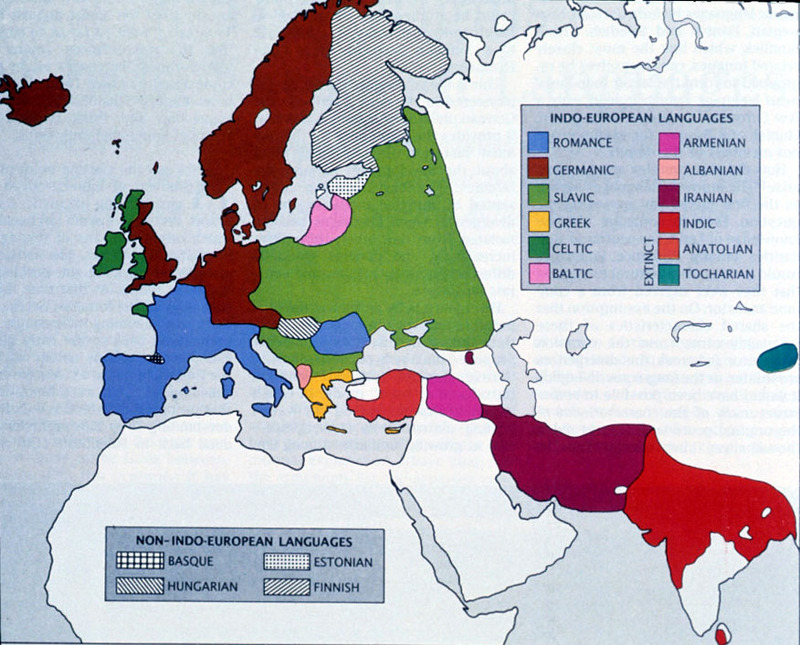 English isn’t the only modern Indo-European language to have completely lost gender. Others include Armenian and Bengali. The Romance outcome (masculine and feminine in, neuter out) is the most common. Other languages in this camp are Albanian, Hindi, the modern Celtic languages, and the Baltic languages (Latvian and Lithuanian). Polish and Sorbian (these are both Slavic languages) have actually jumped from three genders to five by splitting masculine into three categories: inanimate, human, and other animate. For a language geek like me, this is one of the most coolest things I’ve learned in the last several months! You can read about it on Wikipedia (search for the phrase “five genders”) or, for a more reputable source, on pp. 425-6 in Benjamin Fortson IV’s Indo-European Language and Culture: An Introduction, which I strongly recommend in any case. This entry was posted in From Latin to Spanish and tagged Gender, grammatical gender, Indo-European, masculine and feminine, masculino y femenina, Spanish gender on 6 February, 2015 by jhochberg. La verdadera pregunta aquí es por qué día es masculina Y termina con -a. Llevo unas semanas investigando tales palabras españolas, de las cuales día es la más frecuente. Día es masculina porque viene de la palabra proto-indo-europea *diéus, que significaba el dios del cielo (un dios masculino) o el cielo diurno. Recibió su -a final principalmente porque su progenitor inmediato latino, diēs, era la única palabra masculina en la clase de sustantivos de la quinta declensión latina. Otros sustantivos en esta categoría también terminaban con –ēs, o aun –iēs. Incluían effigiēs, rēs, y speciēs. La terminación de muchos sustantivos en este grupo cambió de –iēs a -a cuando el latín se desarrolló al español. Speciēs, por ejemplo, nos dio especia. Otros ejemplos incluyen materiēs, la fuente de materia y madera, y rabiēs, la fuente de rabia. Estos cambios eran parte de una tendencia española de extender la terminación explícitamente femenina -a a sustantivos que ya eran femeninos, tales como infanta (de infante en latin) y señora (de seniōre). Muchos sustantivos masculinos igualmente adquirieron nuevas terminaciones de -o. Estos incluyen pájaro ‘bird’, de passare, y corcho, de cortice. Ralph Penny nombra estos cambios ‘hypercharacterization’. Para diēs el cambio a ‑a resultó en un conflicto entre el género masculino del sustantivo y su terminación femenina. Sin duda el hecho de que diēs era ambigua en cuanto al género contribuyó al cambio. Aunque normalmente era masculina, diēs era femenina cuando tenía el sentido de ‘fecha límite’ o ‘cita’. O sea, la confusión de género ha sido una parte de esta palabra desde sus orígenes. The real question here is why día ‘day’ is masculine even though it ends with -a, the Spanish feminine ending par excellence. I have been looking into words like this lately; día ‘day’ is the most frequent of them. Día is masculine because it comes from the Proto-Indo-European root *diéus, meaning ‘Sky-god’ (a masculine deity) or ‘daytime sky’. It ended up with a final -a mostly because its immediate Latin progenitor, diēs, was the only masculine word in Latin’s ‘fifth declension’ noun class. (Doesn’t “The Fifth Declension” sound like a good name for an amateur rock band composed of linguists, like Stanford’s “Dead Tongues”?) Other nouns in this category — all feminine — also ended in –ēs, or even –iēs. They included effigiēs ‘effigy’, rēs ‘thing’, and speciēs ‘sight, view; shape, form’. The ending of several fifth declension nouns changed from –iēs to –a as Latin evolved into Spanish. Speciēs, for example, became especia ‘spice’. Other examples include Latin materiēs, which evolved into Spanish materia ‘matter, substance’ and madera ‘wood’, and rabiēs, the source of Spanish rabia ‘rage’. These changes were part of a broader tendency to extend the explicit ‑a marker to nouns that were already feminine, such as infanta ‘princess’ (from Latin infante) and señora ‘madame, lady’ (from seniōre). Likewise, many masculine nouns acquired a freshly-minted -o ending. Examples include Spanish pájaro ‘bird’, from Latin passare and corcho ‘cork’, from Latin cortice. Ralph Penny refers to these changes as ‘hypercharacterization’. This entry was posted in From Latin to Spanish, Spanish Friday and tagged fifth declension, masculine and feminine, Spanish, Spanish nouns on 5 December, 2014 by jhochberg. I learned that día and dios are related while looking into the topic of masculine nouns that end in -a. Día is the most common of these words — we use it every day in Buenos días (note the masculine buenos). To find the relationship between día and dios you have to go back to Proto-Indo-European (PIE), the language that was the ancestor of Latin, and hundreds of other languages from Gaelic to Gujarati. Día comes from Latin diēs, which is in turn derived from PIE *diéus, meaning ‘Sky-god’ or ‘daytime sky’. Dios comes from Latin deus, from PIE *deiuós ‘God’. These PIE roots are related to many familiar words. *Diéus is the root of both Zeus and Jupiter (the first syllable is the related bit). English words related to *deiuós include demon (that’s ironic), diva, and Tuesday. The connection between the two PIE roots, *diéus and *deiuós, is too technical for me to really understand because I’m not an PIE expert. However, I know such an expert, Cornell linguistics professor Michael Weiss. He explained to me that *deiuós ‘god’ was derived from the word for ‘sky’ via a common PIE process of vowel affixation referred to by its Sanskrit name, vr̥ddhi. (This is a simplification of his explanation, and I hope I got it right.) As Professor Weiss is the author of the formidable Outline of the Historical and Comparative Grammar of Latin I am more than happy to take his word for it. Incidentally, the fact that día comes from the name of the sky god — a masculine deity — explains its masculine gender. Its -a ending is another story, hopefully one I’ll have time to tell soon. This entry was posted in From Latin to Spanish and tagged día and dios, Proto-Indo-European, Spanish on 2 December, 2014 by jhochberg. Acabo de leer un libro verdaderamente sobresaliente sobre la lingüística. Se publicó en 2005 y ojalá que lo hubiera descubierto antes. Si alguna vez se ha preguntado “¿Por qué cambian los idiomas?” or “¿Cómo se desarrollaron los primeros idiomas?”, el prof. Deutscher tiene las respuestas que Ud. ha ido buscando. Un experto en los idiomas semíticos, Deutscher es un escritor extraordinario. Explica los conceptos sofisticados clara y animadamente. El libro se centra en tres conceptos claves de la evolución lingüística: la economía (la tendencia a simplificar y reducir), la expresividad (la tendencia a crear nuevas formas), y la analogía (la tendencia a crear conexiones y generalizar las reglas implícitas). En los primeros capítulos, el prof. Deutscher explica estos conceptos en el contexto de los cambios actuales o pasados en una variedad de idiomas. Luego, él los aplica de una manera más teorética a las raíces posibles de los primeros idiomas. la analogía: la creación de las formas irregulares como produzco según el modelo de las formas hago y digo, que se desarrollaron del latín por cambios fonéticos normales. I just finished reading a truly outstanding book about linguistics. It was published in 2005 and I wish I’d discovered it earlier. If you’ve even wondered “Why do languages change?” or “How did the first languages develop?”, Professor Deutscher has the answers you’ve been looking for. An expert on Semitic languages, Prof. Deutscher is an extraordinary writer. He explains sophisticated concepts in a clear and lively fashion. 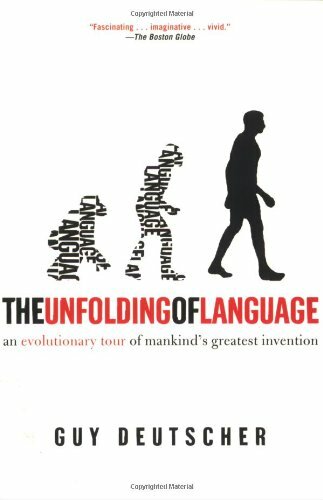 The book focuses on three key concepts in linguistic evolution: economy (the tendency to simplify and reduce language), expressiveness (the tendency to create new forms), and analogy (the tendency to create connections and generalize implicit rules). In the first chapters, Prof. Deutscher explains these concepts in the context of ongoing or historical change in a variety of languages. He then applies them in a more theoretical manner to the possible roots of humankind’s first languages. analogy: the creation of irregular forms like produzco on the model of hago y digo, which developed from Latin via normal phonological change. This entry was posted in From Latin to Spanish, Spanish Friday and tagged Guy Deutscher, language change, language evolution, Spanish, The Unfolding of Language on 21 February, 2014 by jhochberg. I never would have thought to look into the origins of the Spanish verb classes if I hadn’t studied Hebrew. While Spanish has three verb classes (-ar, -er, and -ir), Hebrew has seven, called binyanim. Each is conjugated differently, as in Spanish, but each binyan additionally imparts meaning. For example, the three-consonant Hebrew root k-t-v, which refers to writing, appears in all seven binyanim. As shown in the table below, based on this helpful summary, each binyan reflects a different aspect of writing. There are no patterns like this in modern Spanish; that is, you can’t infer anything about a verb’s meaning from its conjugation class. Differences like reflexive and passive are expressed through pronouns and auxiliary verbs, i.e. se escriben (“they write to each other”) and está escrito (“It is written”). But I’ve often wondered whether, if one goes back far enough, one can find any semantic logic behind which verbs are in which class. Cornell’s Michael Weiss discusses exactly this topic in chapter 36 of his terrifyingly authoritative Outline of the Historical and Comparative Grammar of Latin. It turns out that there were clear connections between certain semantic categories and the conjugation classes of Latin, although this patterning was in no way as tidy or as far-reaching as in Hebrew. Some highlights are below. to turn nouns and adjectives into verbs. Some examples are curare “to care” from cura “care”, navigare “sail” from navex “sailor”, and novare “to renew” from novus “new”. for repeated or frequent actions. Some examples are dictare “recite” from dicere “say” and factitare “to practice” from facere “to do, make”. for intensives (with a prefix). One example is ocupare “to seize” from capere “to take”. for causatives, such as monere “warn” from men “think” (i.e. to cause someone to think) and docere “to teach” from dek “accept” (i.e. to cause someone to accept). for verbs that describe states, e.g. calere “to be hot”, frigere “to be cold”, pendere “to be hanging”. Latin’s -ĕre class, which merged into the -er class of Spanish, included a group of change-of-state verbs, e.g. calescere “get hot” (from calere) and tacescere “become quiet” (from tacere “to be quiet”). to turn nouns into verbs, as in finire “to finish” from finis “end” and servire “to serve, be a slave” from servus “slave”. I don’t know what, if anything, distinguished these from the verbs-from-nouns in the -are class. for desires, e.g. esurire “to be hungry” from esse “to eat”, parturire “to be in labor” from parere “to give birth”. This partial patterning reminds me of gender. There’s nothing inherently masculine about most masculine nouns in Spanish, nor inherently feminine about most feminines. Yet one can see in such common words as el padre and la madre the meaningful basis of the original category difference. It’s refreshing to find that there’s likewise some logic, however fragmentary and forgotten, to the seemingly arbitrary verb classes of Spanish. This entry was posted in From Latin to Spanish and tagged -ar, -er, -ir verbs, Latin conjugation classes, Spanish conjugation classes, Spanish verb classes on 20 October, 2013 by jhochberg.